"Help Me Get One More"
I desperately needed some Jesus skin. I had just buried my four-month old infant daughter, donated my second daughter’s premature and lifeless body to Vanderbilt research, suffered the divorce of my ten-year marriage, and watched my church family in the rearview mirror fade from sight. In the wake of these devastating losses, faith too had waved the white flag and become a prisoner to doubt. Whatever relationships I had with faith—faith in God, faith in family, faith in life, faith in myself—had surrendered to doubt. The thought of meeting a man who wore the skin of Jesus, someone who might restore freedom to the prisoner, gave me impetus to make the fastest, most impulsive decision of my life. I would seek out and get to know this man whom others claimed wore the skin of Jesus. I have now known Terry Smith for over 23 years. When given the seminary assignment to interview a seasoned minister regarding interpersonal ministry skills, the name Terry Smith was the first name to cross my mind. In many ways, I credit him and his willingness to wear the skin of Jesus as having saved me as well as my family through periods of overwhelming grief. Through Terry, I have a better understanding of how Jesus really saves the world. Terry’s mother was an alcoholic who abandoned him and his three siblings when he was eight years old. By the time Terry was 12, he had developed survival skills that would accompany him, evolve with him, save him, and get him into trouble over the course of his life: be good, perform to please, and be strong. In the 15 years following a tumultuous childhood and young adulthood, Terry completed a Master of Theology at the Harding School of Theology. The Vietnam War was daily in the headlines and Terry thought it was his calling to be a military chaplain. When that calling didn’t come into fruition, Terry began working toward a Master of Arts in Counseling at Harding while serving as campus minister. He found himself on the unexpected battlefield of college campuses ministering to a different kind of soldier: students who were battling the enemies of alcohol and drug addiction, anger issues (some because of the war), rebellion, and self-identity. While Terry was helping students get in touch with God and other long-lost parts of themselves, God got in touch with Terry. Together, they got in touch with a long-lost part of Terry’s self: his mother. Terry’s master’s thesis focused on a question that put Jesus to the test: “Does Jesus work on the most broken people?” The most broken person Terry knew was his mother. So in 1968, 18 years after having been abandoned as a child, Terry found his mother. She had since been married five times, was living with a man who was not her husband, and was still battling alcoholism. The resemblance between Terry’s mother and the Samaritan woman whom Jesus meets at the well in John 4 was striking. Terry’s mother became his case study. Over the next six years as Terry worked on his thesis and journeyed through the story of Jesus and the Samaritan woman with his mother, some of the students and other campus mentors took her in for 14 months. 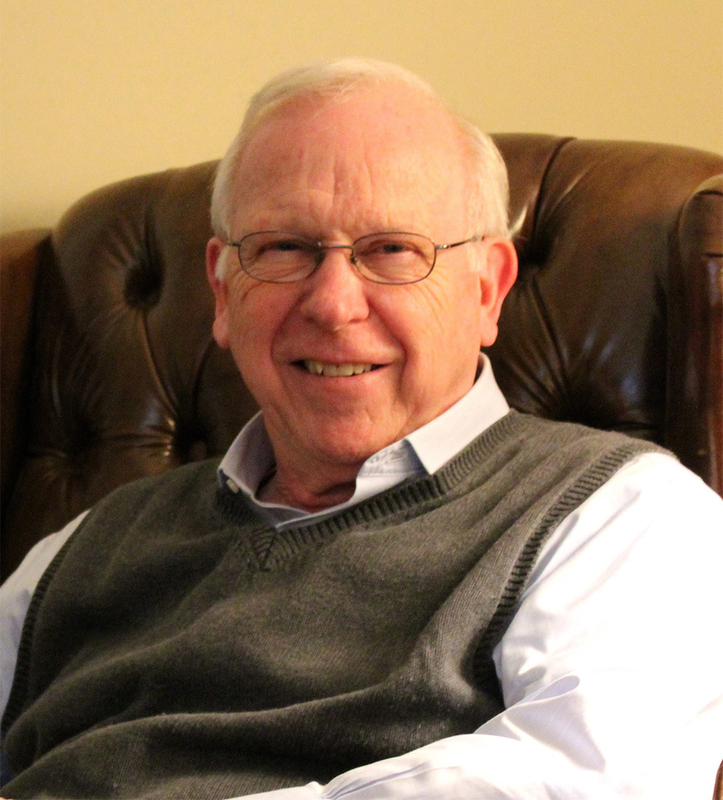 Terry recalls that experience as one of the most significant teaching moments of his life. Jesus had passed the test. Upon graduation, Terry moved to Memphis and joined the adjunct faculty at the University of Memphis where he taught biblical studies and served as campus minister at the Highland Church of Christ. After being disciplined for having women pray in small group meetings and allowing African American males to read scripture, Terry left Memphis at the end of five years. In 1979, Terry (alongside his wife Charlotte and their four daughters) moved to Boston where once again he found himself on the frontline of battle. While working on a doctorate in Personality, Religion, and Culture at Boston University, Terry founded the Resource for Life Center where he began a ten-year ministry of helping disenfranchised people who were burned out or abused by religion. From his years as campus minister, not only had Terry helped his mother, he had helped hundreds of students pick up the shattered pieces of their lives. Terry arrived at Boston University carrying the shattered pieces of his own life and a mission to save the world. His prayer list named 200 people and was growing exponentially. At the end of two years, suffering a full-blown messiah complex, Terry himself was burned out and fearful of mimicking his family pattern of addiction and adultery. He even asked himself whether he wanted to exchange his 40-year-old wife for two 20 year olds. The answer was given and received: he wanted to think clearly, walk securely, live boldly, and love faithfully. In the three years that followed that resolution, Terry would experience a dark night of the soul. He began to read from the Psalms and Proverbs. He began reading authors like Larry Crabb, J. I. Packer’s Knowing God, and Merle Jordan’s Taking on the Gods and Reclaiming Your Story in which Terry himself appears as the case study of someone who has a messiah complex. He began to see himself like the Apostle Peter who was pursued and still loved by Jesus whom he had stabbed in the back. It was the dark night that brought Terry into the light of truth: God’s presence has nothing to do with a person’s feelings; God loves broken and messed up people. In 2012, Terry branched out on his own, founding a non-profit organization with the mission to help people remove barriers to healthy relationships. Terry describes Coaching Life Matters as “an oasis in the desert of broken relationships, a safe place where people can tell their stories, get in conversation with their stories, and discover that God was in their stories long before they became aware.” Terry’s primary tools: listening, loving, and a customized version of the genogram. Terry’s resolve to think clearly, walk securely, live boldly, and love faithfully has impacted my life and the lives of countless others in ways that only God and the soul can truly know. How did he do it? How has he survived, and survived well, the battleground of ministry for over 50 years troubleshooting the problems of other people as well as his own? To my way of thinking, it’s nothing short of a miracle. When I asked Terry to describe his 50+ years of ministry in a nutshell, he referred me to a movie. “Have you seen Hacksaw Ridge?” he asked. Doss goes to military court and is granted the right to go into battle without a weapon. The court’s decision, however, does not preclude his fellow soldiers from considering him a coward and abusing him in the barracks at night. When Doss’s unit is deployed to the Pacific Theater, they are sent to assist the 96th Infantry in the Battle at Okinawa. Heavy casualties occur, particularly along the Hacksaw Ridge. During the battle, Doss runs into the carnage over and over and over again to “get just one more.” Armed with only his desire to save, Doss rescues many of his fellow soldiers and is later awarded the Medal of Honor. To the soldiers whom Doss carried out of harm’s way, Doss was Jesus with skin. I understand why Terry used Doss to sum up his ministry: Terry is a contemporary soldier who insists on saving life rather than taking it. He is a soul medic who has shown up on the battlefield everyday for the past 52 years with one deep down prayer in his heart: “Please Lord, help me get one more.” Over and over and over again he rushes back into the carnage of human grief, anger, shame, addiction, and death. Over and over and over again his human, skin-wrapped hands and feet become the hands and feet of Jesus carrying war torn people to the safety of the foxhole. And all the while he’s carrying, he reminds people that God is closer to them than the blood running through their veins. His only weapon is love. Terry will soon turn 75. In the days prior to my interview with Terry regarding his interpersonal skills and how those skills have helped him navigate and survive over 50 years of ministry, I wondered what I might receive from him. I wondered if he would give me an outline or a chart or a set of tools like a made-to-order one-of-a-kind genogram of sorts. What he gave me was a compass, a North Star, a tracking device by which I can always navigate the sea of ministry and find my way home. He returned to his relaxed position and a smile crossed his lips. This is an excellent review and presentation of Terry’s work. I’m not sure everyone will resonate with his recommendations on the Psalms and Proverbs. I never did, but I had a vastly different upbringing from those Terry ministers to. You write well Gayle: clearly and to the point. A bit of editing to shorten it would be in order, I think. Go for it!!! Thanks for your comment Jim! Yes, the blog post may be a bit lengthy for a general audience. It’s written as a tribute to Terry Smith who has helped so many people along the healing path. I am forever grateful to God for Terry’s walk alongside me and my family for which there will never be enough words. Beautiful article–EVERY word! Thanks for sharing this inspiring story. Thanks for reading and responding Sharon! What a loving, informative tribute, Gayle! I learned some details I didn’t know. Thank you Helen! That’s a huge compliment coming from you! So great to hear from you! So beautifully written! I could have read as much as you had wanted to write! Not just because of how much I love Terry and Charlotte, but you have such a way with words that they mesmerize the reader. Thank you, for sharing your gift. I loved hearing Terry’s story again. He has taught me that Jesus really is closer to me than the blood in my veins. Thanks Diane! I’m glad you enjoyed the post and so appreciate your encouragement! 1971 – That’s the year I walked into the Christian Student Center in Memphis, TN and met Terry Smith. I was 18. He was 28. I had not been to church more than a dozen times in my life, had no Bible, and knew nothing of what was in it. I was one of the broken, lost, and unloved on the inside but trying to act like I had it all together on the outside. It it were not for Terry Smith, I might still be today like I was then. I had no clue who Jesus was. Your description of Terry as “Jesus with skin” is as accurate as it gets. And Charolette too. My favorite line from Terry is, “We all come to Jesus the same way – through our failures.” In other words, there is hope for us all. Thanks for the blog. Well done. What a wonderful testimony Russell! Thank you for reading and responding in such a meaningful way. I know Terry will be thrilled to read your response. God’s blessings on you friend. Appreciate your story about my much loved brother. My family was blessed for years to walk beside him in New England. He never failed to live what he believed. Though many years have gone, we still find ourselves quoting him, sharing the wisdom, faith and love he gave us. As often, we quote his wise and beautiful wife, Charlotte. She models her Lord and Savior, Jesus, as well as the husband. Thanks so much for your comment Dianne. Your words are so true. Charlotte does model Jesus. I think Terry would agree that his ability to effectively minister is in large part because of Charlotte. Gayle, this is a beautiful story and I appreciate you writing it. Terry reached out to me when my father died and he stayed with me and brought me to higher ground. I cherish Terry and his beautiful wife Charlotte. Thank you for giving us another view of what a true disciple looks like. Thanks Lael! Praise God for you and your story. It’s good to be on higher ground! I loved reading your memories of Terry and descriptions of how he is committed to following and sharing Jesus. For him, Jesus is not an approach to counseling or a brand name for a church, but the living water that quenches our real thirst and the source of healing for any wound. Thanks for your comment Scott. You’re right: Terry’s the real deal. Wow! Thanks for swimming around my little blog. I'm awestruck! Okay so here's the deal. There's no pressure. My blog is all about meeting God just as you are right where you are. Full of doubt; without a doubt. Raised fist or raised glass. Flip flops or stilettos. You are welcome! I'm thrilled we're taking this journey together!